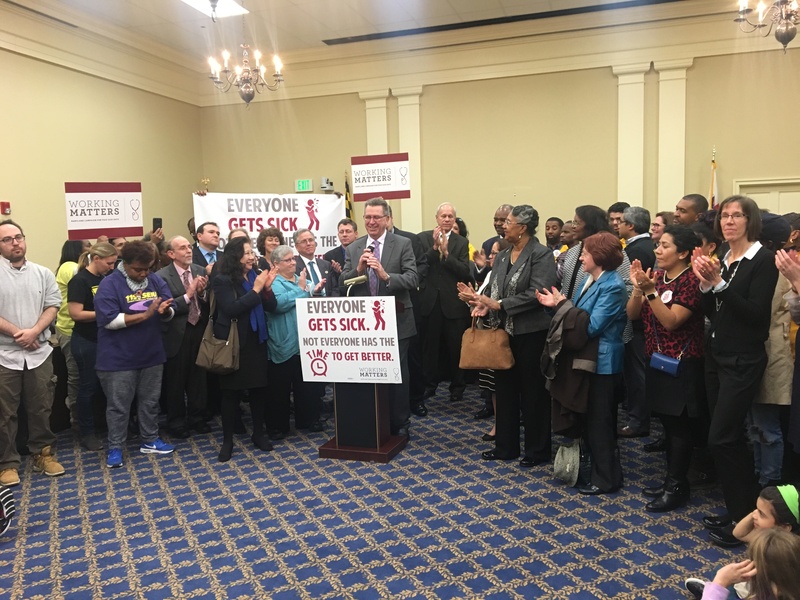 Monday, January 23rd, representatives from various communities across our state gathered in Annapolis to rally for one cause- earned sick leave. Spokespeople on behalf of faith based, business, workers rights and many other factions each shared the podium to express what House Bill number 1 meant to them. Among these advocates was Senator Thomas “Mac” Middleton, the Chair of the Senate Finance Committee. “Think of working parents who take time off, miss a day’s pay or worse-come back and find out that they are unemployed” exclaimed the Senator. “Think of those, specifically single mothers, that don’t have that community support”, he mentioned in reference to community support in raising a child. Person after person headed for the podium to convey just how much this bill could positively affect workers in our State. 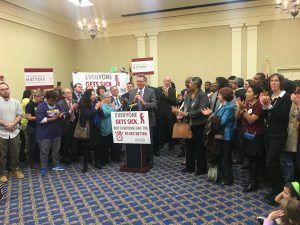 Although the Governor’s Administration had proposed their own bill outlining their preferred sick leave, House and Senate Democrats are feeling positive about the proposal.